How can I purchase the Book of Lists? What is the annual Book of Lists? Is the Book of Lists available in different formats? How do I subscribe to the digital edition only? Where can I buy a copy of the Los Angeles Business Journal? How can I purchase a back issue of the LA Business Journal? What do I get with a subscription to the LA Business Journal? 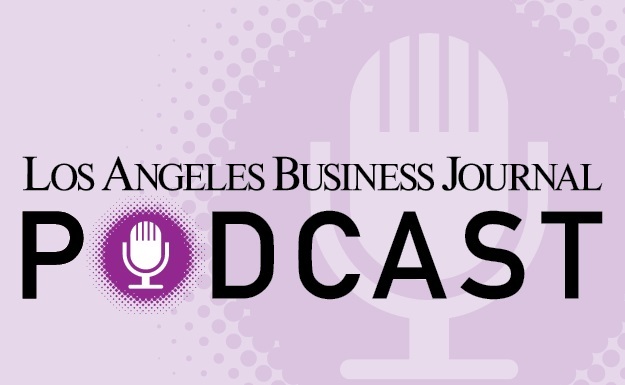 How do I subscribe to the LA Business Journal and receive subscription benefits? What areas does the LA Business Journal cover? I am interested in reading some of your Special Supplements where can I find them? I am a subscriber, how do I get my online access? I am a subscriber and have logged in with my username and password but I still can’t open articles, what should I do? I am a subscriber and want to view past digital editions, where can I find them? How do I access the Book of Lists online? I missed an issue, how can I get a replacement copy? Can the Journal be downloaded as a PDF file? How can I be taken off automatic renewal? 1. How can I purchase the Book of Lists? The annual Book of Lists is only available as a subscription benefit; a person must subscribe to the LA Business Journal in order to obtain it. The Book of Lists is published at the end of the year and is automatically mailed to all print subscribers. Subscribers also have access to the Book of Lists in PDF format. 2. What is the annual Book of Lists? Learn which companies are powering ahead of the competition. Our Lists provide comprehensive data and statistics on top-ranked Los Angeles companies across all industries; included are the names of key decision makers, their titles and complete contact information. Each of these surveys is then compiled into the Los Angeles Business Journal's invaluable resource - the annual Book of Lists. 3. Is the Book of Lists available in different formats? The Book of Lists is available in three formats: print, PDF and Excel. As a benefit, subscribers get the print copy and PDF edition as part of their paid subscription. The Excel format can be purchased from http://www.labusinessjournal.com/lalists/. Excel is recommended for customers who want to merge data, sort data or create mailing lists. 4. How do I subscribe to the digital edition only? The Los Angeles Business Journal offers a print and digital bundle only. Get your business news in more ways than one; one subscription gets you total access! 5. Where can I buy a copy of the Los Angeles Business Journal? Want your copy now? Pick one up at your local newsstand, visit http://www.labusinessjournal.com/newsstands/ for a complete list of newsstands 6. How can I purchase a back issue of the LA Business Journal? Please place your order online or by phone. Back issues are $7 each ($5 per copy plus $2 shipping fee). Our Customer Service Department can be reached at (855) 293-9394. Or return to our homepage, www.labusinessjournal.com, find the “Resources” button at the top of the page, then click “Buy Back Issues” from the drop down menu. 7. What do I get with a subscription to the LA Business Journal? Subscribers get a variety of benefits with their annual membership! 52 weekly issues of the award-winning Los Angeles Business Journal, packed with news, information and analysis you need to stay on top of your game and ahead of the competition. 8. How do I subscribe to the LA Business Journal and receive subscription benefits? Ready to be part of the Community of Business? Start your subscription online now: From www.labusinessjournal.com, click subscribe at the top of the page. 9. What areas does the LA Business Journal cover? We cover hard hitting business news throughout LA County. From the Verdugos to the Harbor, each week, the award-winning Los Angeles Business Journal examines the many ways that the L.A. economy operates. 10. I am interested in reading some of your Special Supplements where can I find them? Special Supplements can be found at http://www.labusinessjournal.com/supplements/ 11. Where can I send a press release? Please email your press release to newsdesk@labusinessjournal.com 12. I am a subscriber, how do I get my online access? As a subscriber you have access to over 10 years of archives! Save, then return to the home page where you will be able to take advantage of your unlimited online access. 13. I am a subscriber and have logged in with my username and password but I still can’t open articles, what should I do? If you are a subscriber, please make sure that your subscription account number has been entered so that you can take advantage of your VIP access. From the home page, place your cursor over the button that reads “subscribe” at the top of the page. From the drop down menu click “Edit your subscription account”. **IMPORTANT** In the Account Number field enter your account number (this will start with the letters “LA” and will be followed by 6 digits). An example is highlighted in yellow. 14. I am a subscriber and want to view past digital editions, where can I find them? Click on the image of the current issue’s cover. Find the “Calendar” button towards the top of the page. 15. How do I access the Book of Lists online? There are two ways paid subscribers can access the Book of Lists online. Please see question 14 for the first. The Lists can also be viewed by going to the home page (labusinessjournal.com), then clicking the button that reads “The Lists”. From the drop down menu click WEEKLY LISTS – this will take you to the weekly lists organized in alphabetical order. 16. How do I change the address on my subscription? Please call Customer Service at (855) 293-9394. Or change it online by visiting: https://account.labusinessjournal.com/labj/subinfo.aspx?pc=LA&do=U. You may also email address changes to circulation1@labusinessjournal.com; include your account number, old address and new address. 17. I missed an issue, how can I get a replacement copy? Please call Customer Service at (855) 293-9394. You may also email replacement requests to circulation1@labusinessjournal.com; include your name and account number. 18. Can the Journal be downloaded as a PDF file? The site will ask if you would like to view the issue in full screen mode, click no. Choose to download an individual page or the entire issue. 19. How can I take my subscription off automatic renewal? If your subscription is scheduled to be automatically renewed you may opt out by calling our Customer Service department at (855) 293-9394. You may also email opt-out requests to circulation1@labusinessjournal.com; include your name and account number.